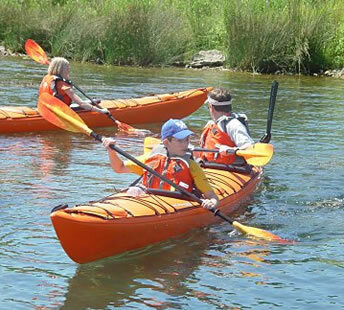 Home>Plan Your Trip>Ausable River Kayaking Co.
AuSable River Kayaking Co., LLC offers kayaking trips along the historic AuSable River in northeastern lower Michigan. We currently offer a variety of trips including guided tours along the AuSable River and across Tawas Bay. These include a leisurely six mile (two hour) trip from Rea Road to the Whirlpool pullout, a longer (3½ hour) trip through Cooke Pond, a guided trip on Tawas Bay on weekends during the summer and a winter trip on the lower AuSable River (Saturday only). For the more adventurous minded, we suggest you contact us to discuss a customized trip! We also strongly suggest that you make reservations early to avoid disappointment.